If you’re among the NFL fans still itching to find out which team will be participating in this summer’s next season of HBO’s Hard Knocks, you’re not alone. Nothing gets us more amped for another season of football than getting a look behind the scenes as a group of supermen prepare themselves for the field of battle. The blood, the sweat, the workouts, the exhaustion, it’s all part of the everyday lives of some of the world’s top athletes. We love seeing it all unfold, and we can’t wait for this series to get started up again. Of course, all that’s needed now is for NFL Films to pick a team already. Fortunately, it appears that decision is not that far off. If a report from ESPNCleveland.com is correct, then the producers will be choosing from either the Washington Redskins, the Buffalo Bills, and the Houston Texans. We have to admit, not all of these franchises were among the teams we believed would make the best options for this year’s show. But we certainly see the merit behind each of these teams. The teams that make the best participants on this docu-series are ones that have interesting characters, controversial players, and opinionated coaches. If an organization has an intrusive owner or has been part of a recent scandal, that also tends to make for good television. All of these teams fit the bill in some way, shape, or form. But each of these franchises also have qualities that distinguish them from the other finalists. It’s a good thing that we don’t have to make the decision — we’re not sure we could pick just one. Still, that doesn’t mean we don’t have a sense of what makes these clubs appealing subjects. So, with that in mind, let’s break it down and show you why these teams would be perfect fits for the upcoming season of HBO’s Hard Knocks. 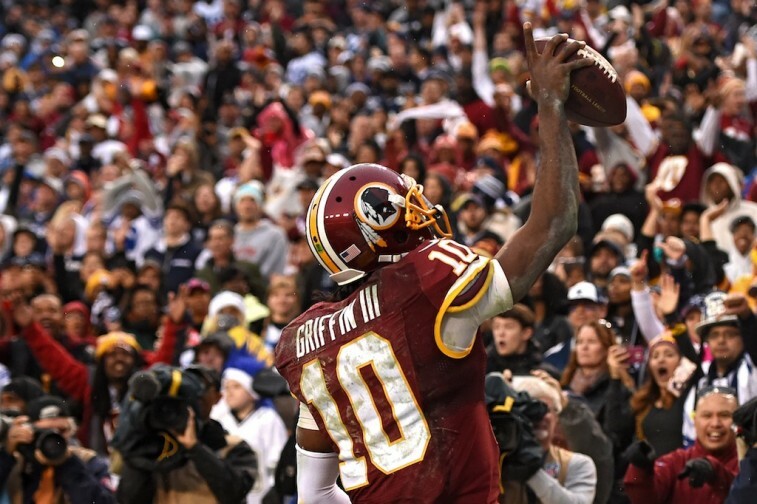 While the Washington Redskins are considered to be one of the finalists to appear on Hard Knocks this summer, multiple sources have indicated that the NFC East team has no desire to be on the show. Since series producer, NFL Films, “does not want an unwilling participant,” this organization will more than likely not be selected. Still, that doesn’t mean the Redskins wouldn’t make for a fascinating subject. Honestly, you could do a whole series on owner Dan Snyder. This is a man who can’t seem to get out of his own way, is continuously making headlines for all the wrong reasons, and constantly makes questionable decisions. But that would be too easy. We can’t forget that this club is always facing backlash over its name, it has a Gruden (Jay) calling the shots, and it has Robert Griffin III — poor RG3. It was only a few years ago that he was marked as the savior of the franchise. Now he’s essentially going out there to prove he’s capable of playing quarterback in the NFL. This would be worth tuning into. Dan Snyder, if you were ever going to redeem yourself, now would be the time. Say “yes.” You know you want to. The Buffalo Bills are another team considered to be at the top of the show’s list. Unfortunately, according to WGR550’s Sal Capaccio, they too seem to be uninterested in participating in the next season of Hard Knocks. We truly hope the Bills reconsider their position. This is one of those teams that would be absolute television gold. 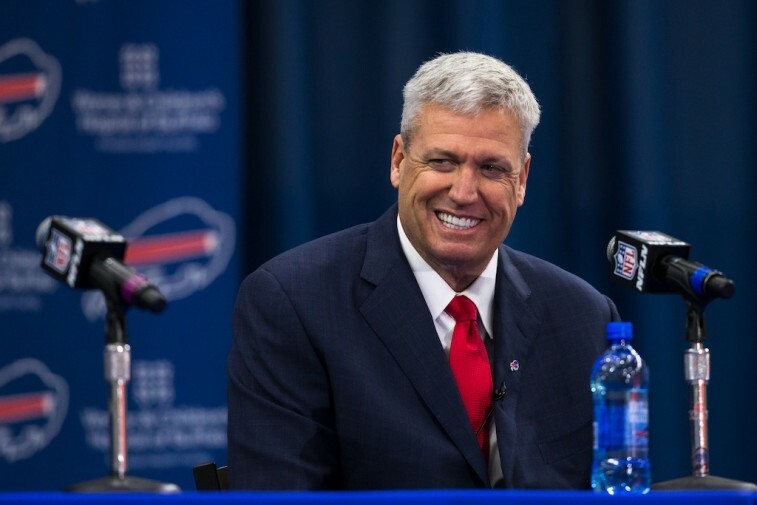 With Rex Ryan now running the ship in Buffalo, this organization has already gotten infinitely more interesting. The guy is loud, confident, outspoken, and downright hilarious. He was already a part of the show when he coached the New York Jets, but that was all the way back in 2010. It may have taken some time, but Ryan has since rediscovered his swagger and the world needs to see more of it. And we haven’t even gotten to the players yet. Newly-acquired running back LeSean McCoy can’t help but say controversial things all the time. If you put a camera in his face, there’s a good possibility you’ll hear him bad mouth someone (Chip Kelly, perhaps). Percy Harvin is a stud speedster on the field and a headache off of it. And then there’s Richie Incognito; the poster-child for locker room bullies worldwide. This is team full of characters, with loud personalities and overwhelming opinions. What this group offers is not TV. It’s HBO. According to ESPN NFL Nation reporter Tania Ganguli, the Houston Texans are not only a finalist for this summer’s Hard Knocks, but they are also currently the favorites. While this organization may not be as crazy or controversial as the other two potential teams, it does have something that no one else in the NFL has: J.J. Watt. You can talk about how Bill O’Brien, in his second season as head coach, is continuing to shape the team in his image. You can even talk about the recovery — and hopeful redemption — of former No. 1 overall pick Jadeveon Clowny. Those are fine pieces of subject matter. But neither of these two men compare to the attraction of the NFL’s best defensive specimen. 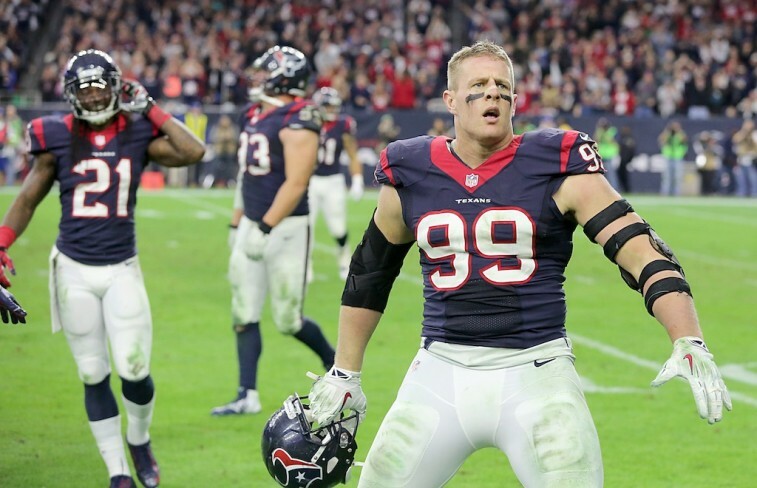 Watt is a one man wrecking crew. He’s a three-time Pro Bowler, a three-time First-Team All-Pro, and a man who crushes the quarterback, knocks down passes, catches touchdowns, and forces fumbles. 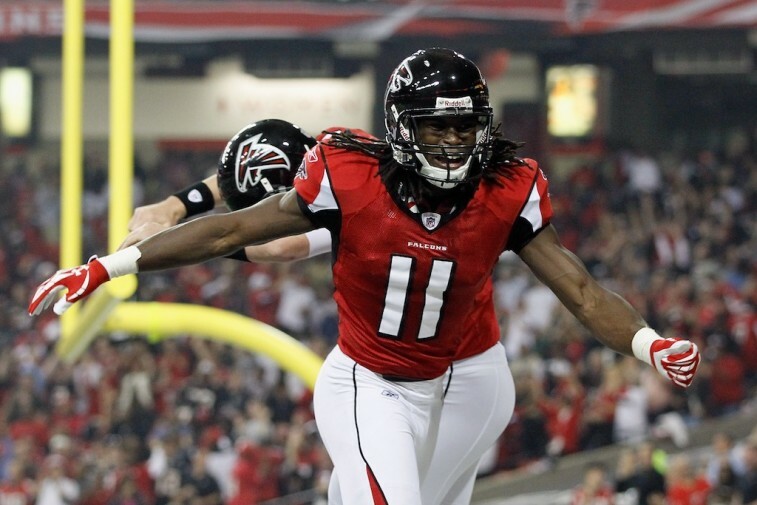 There is not a single person in the NFL like this former Wisconsin Badger. Not even close. So, to take a line from Field of Dreams: “If you build a show around J.J. Watt, people will watch it.” Or something like that.